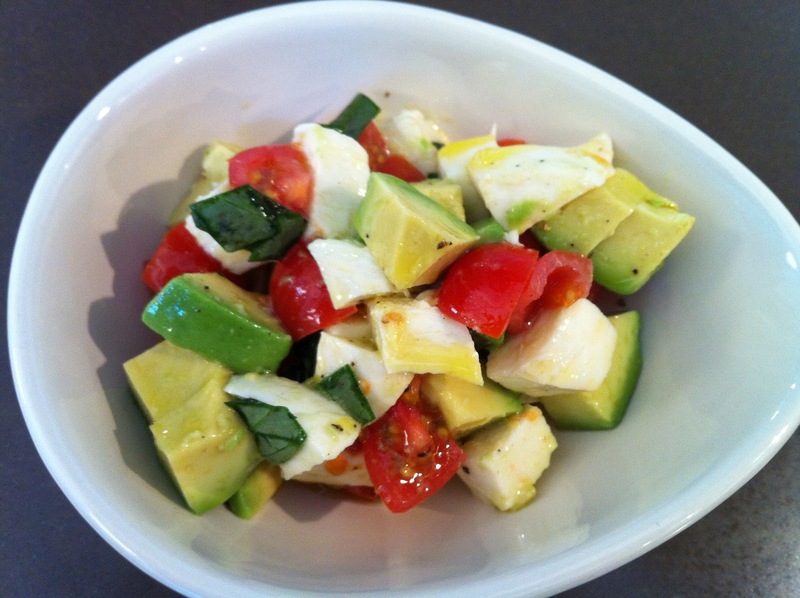 Caprese Salad with Avocado | what is clara eating today? dice mozzarella cheese, tomatoes, and avocado to about 1/2in x 1/2in squares. rip the basil leaves to small pieces. mix all the ingredients in a bowl. season with salt and pepper.